The North Carolina solar industry is continuing to grow at a rapid pace. Since the announcement of the new Duke solar rebate in January, we’ve seen many unfamiliar faces join us in the NC solar market. Whether these solar installers are from out of state or are newly formed, a new dynamic has been introduced to our area’s solar industry. As an established local solar installer, we’ve been witnessing many changes to the competitive market in these past few months — changes we’re not able to just idly stand by and watch. With the increased activity in our area’s competitive solar arena have come some questionable sales practices. From what we’ve heard and seen, misinformation — whether intentional or unintentional — is a common denominator among these newly arriving solar companies. We certainly hope that their methods will take a turn for the better, especially as consumers become more educated and aware. But for now, here are 5 situations that are currently breaking our hearts in the North Carolina solar industry. Unethical Bundling - Some installers package energy efficiency upgrades and roof work in their solar projects to capitalize on tax credits. This is a questionable practice at best. 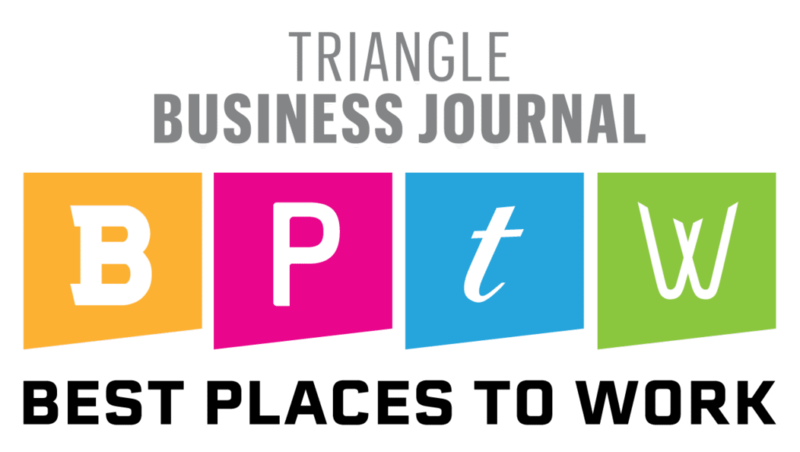 Manipulative Sales Tactics - Pressure, fear, and threat tactics are becoming more common in the NC solar market. Misinformation and Malice in the Solar Industry - Companies that are new to solar in NC may not be familiar with local solar policies which creates inaccuracies in their solar estimates. "Some customers regret spending on solar panels" - This headline is tragic and hurts the reputation of the entire solar industry, not just the company at fault. Local Policies Preventing Customers from Going Solar - Many utilities discourage homes from going solar by paying 40%-70% less than the consumer rate for power generated by solar. We’ve been seeing some solar companies bundle energy efficiency upgrades with their solar installations. Don’t get us wrong, we’re all for home efficiency and performance — that is the other half of our business after all — but the big catch is the legality of whether the 30% Federal Tax Credit for solar can be applied to these line items. From our own research, and in speaking with Randy Lucas (a CPA specializing in energy and tax issues that we keep on retainer for our clients) it is to our understanding that “efficiency upgrades” are not eligible for the federal tax credit even though many solar companies are packaging them into their solar projects. Although efficiency upgrades like LED lighting, air sealing, radiant barrier installation, smart thermostats, and insulation improvements may be advertised as a “free bonus”, solar companies offering these freebies typically have much higher prices than companies that don’t offer them. So instead of being free, the cost is actually just hidden in a different line item on the solar proposal. This results in a situation where homeowners may believe they are getting a deal when in reality they are overpaying for their system to begin with. It is also common for these companies to combine their their solar and efficiency savings into one number. Designing a solar system using inaccurate predictions about what future household energy consumption might be creates misleading estimates about savings potential and payback period. So when you are comparing quotes it might look like Company A’s 5 kW solar system is saving $2,000 more per year than Company B’s exact same size 5 kW solar system. Initially you might think, “Wow, Company A’s system saves a lot more money per year! It must be better, right?” Wrong. For the same size solar system on the same house, any big variance in savings between quotes should raise a red flag. Company A is not installing a better solar system; they are intentionally muddying the savings numbers with energy efficiency upgrades while potentially putting you in a questionable tax situation. Another common bundling practice we’ve gotten questions about is whether the cost of replacing a roof can be added to the price of a solar system to then be eligible for the 30% federal tax credit. Technically, in residential applications this incentive can only be applied to the portion of roof that’s underneath the solar panels. The catch is that a properly sized PV system should typically only cover around 20-40% of a roof. If you come across a company that offers total roof replacement with the promise of a 30% tax credit incentive for 100% of the roof, your warning sirens should be blaring. You could be dealing with a company that is misinformed, ignorant of solar policies, or trying to sell you a grossly oversized solar system. 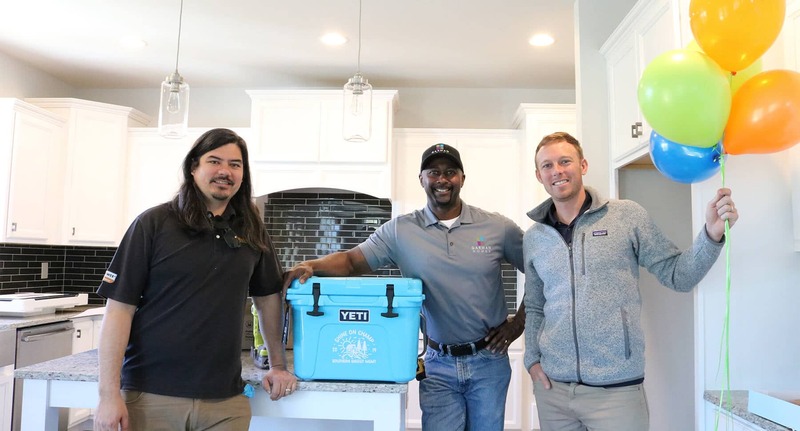 By now you probably know just how competitive the NC solar industry has become with the Duke Rebate in place… especially if you’ve been following our blog! Our teams on the front lines have seen and heard of many questionable and borderline unethical sales tactics that we can’t stand to see. Stories of high pressure sales situations are becoming increasingly common, as are instances where solar systems have been designed in a way that will never perform as they are sold to. We’re also seeing competitive quotes for systems that are just way overpriced to begin with, featuring deep discounts under scenarios where homeowners must sign now or lose a once in a lifetime deal. Solar installers who canvass entire neighborhoods often target homeowners who are not in the market for solar. In many cases, these homeowners are then urged to make an impulse decision under high pressure circumstances without the opportunity to research solar any further. Their understanding of solar and the financials is at the mercy and integrity of that solar company. If you ever find yourself pressured to sign today for a rebate that coincidentally expires tomorrow, please know that this is most likely not the case. At the end of the day, going solar is a big investment that will last for more than 30 years and you should never feel pressured into making such an important decision based on a false sense of urgency. This is a common practice among unsolicited door-knockers and neighborhood canvassers. Typically in this situation, the solar company will set their pricing way above local market value then offer steep, one-off discounts to make their proposal look more competitive. When there are several bids on the table, these installers might be willing to cut their original price by tens of thousands of dollars. They can offer these steep price cuts because 1) their prices are generally way higher than the market to start with and 2) because when they find customers who don’t get multiple quotes, they take advantage of them by selling them grossly overpriced systems. At the end of the day they are making additional profit by ripping-off the customers that trust them the most--the customers who don’t get multiple quotes. Education is a huge part of the solar journey! Homeowners who were not expecting to go solar but were approached out of the blue have no way of knowing what to look for on a proposal. We strongly believe that the homeowner should never be placed in this position, and that installers should be responsible for honest education. Unfortunately, some solar installers take advantage of this learning gap by gaming the numbers to paint the perfect solar picture. This picture can sometimes be too perfect. Some installers overpromise the performance of their systems or set inaccurate expectations for what solar can achieve for a homeowner. Buyers should beware of statements like 100% offset of home power needs or $0 average monthly power cost because this simply isn’t achievable based on how solar works with local NC utility regulations. This type of relationship with an installer can’t be promising if they are using pressure, fear, and threat tactics from the get-go. When we search our competitors and see reviews like the ones below, it pains us to know that these types of negative experiences exist and have happened to homeowners along the course of their solar journey. In the end, this doesn’t just reflect poorly on the company in question but it also impacts the reputation of the solar industry as a whole. We’ve been proud members of the North Carolina solar community since before there were any incentives — federal, state, utility, or otherwise. We love this state and have been committed to making a positive impact on our local community for more than 16 years. Over those 16 years we’ve received plenty of bumps and bruises as we navigated and adjusted the ever changing policies and peculiarities of the NC solar market at the state, local, and utility levels. The understanding and expertise we’ve developed for solar in North Carolina over decades can’t be picked up overnight by companies that have just dropped in yesterday to try to take advantage of our new utility rebate. But for those who are just joining us because of the hot NC solar market this year, there’s a lot to learn and familiarize with, especially when it comes to local solar policies. We’ve seen a lot of quotes from these opportunistic solar companies with inaccurate numbers and assumptions. These values are incorrect either from ignorance or malice — and while we hope for their souls’ sake it’s out of ignorance — neither is acceptable or fair for the potential solar system owners of North Carolina. Not getting key numbers correct — like utility rates, energy price escalation rates, historical energy usage, local and federal incentives and local production potential — can drastically affect the way a solar proposal pencils out. In our experience, these numbers seem to always skew to make their solar proposals look better and more lucrative, but that’s not the same as being accurate. SEM strives to provide the most up to date utility rates and use conservative, transparent assumptions about rising energy prices and your system’s production potential. Our goal is to make sure your system meets or exceeds our estimates even if that means we lose a few sales by showing more accurate numbers. 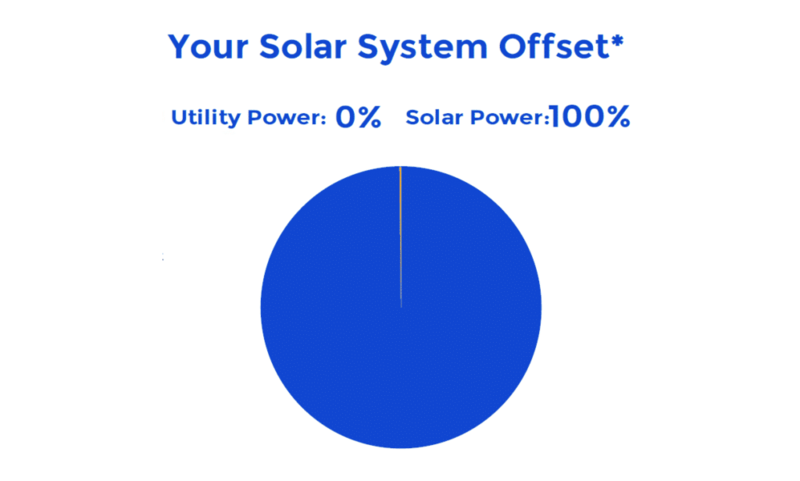 With most customers, we don’t advise sizing a solar system to meet 100% offset because of the way the Duke utility calendar operates. To be able to fully cover the home’s energy needs, the system would need to be upsized to generate enough electricity to accommodate peak summer months during the beginning of the utility calendar cycle. Ultimately, the homeowner will end up paying for a larger system only to have to donate the extra power generated back to the grid come the end of the year. Statistics like this one showing the impact of going solar on home value is certainly appealing. However, when facts are cited they need to be accurate to the local market. 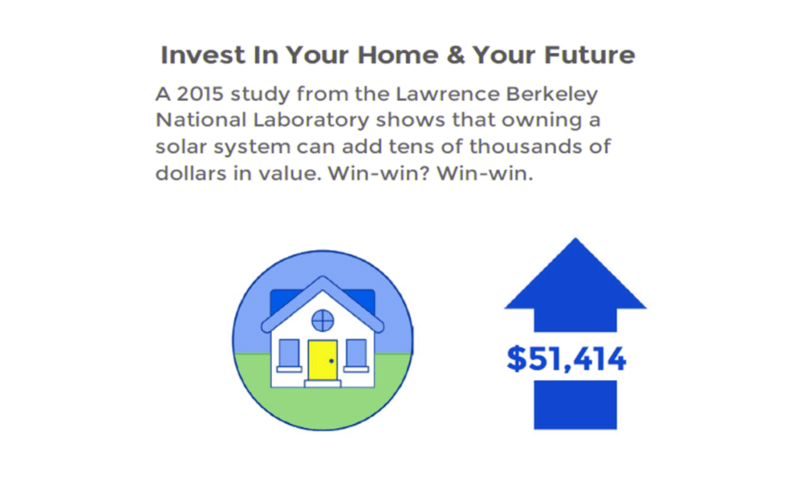 For a home in the metro Raleigh area, The 2015 Lawrence Berkeley National Laboratory study indicates that PV adds an average $2.68 value per watt which would be a total $32,964 value-add. This proposal paints an inflated picture, highlighting a total $51,414 value-add by using the national average of $4.18 per watt instead. The current Duke utility rate in North Carolina is 10.39c/kWh from July through October and 9.896c/kWH from November to June with an additional $14 base charge per month. It is unclear where this company is gathering their estimate of 12.6c/kWH, and misleading to base all the calculations in this proposal on this bloated rate. The Federal Energy Information Agency estimates a national average electricity price escalation rate around 2% annually. NC’s electricity prices are currently below the national average, so we forecast the escalation rate slightly higher around 3%. This proposal uses a 5.5% escalator, which inflates the proposed savings potential by exaggerating the rate of increase of the future price of electricity. There are two primary types of inverters: string or micro. From our experience in working with both, we do not recommend microinverters. This is because string inverter technology has advanced to overcome the advantage microinverters had in the past, while also being able to hold up to the heat and humidity of NC better. Typically, annual system degradation should be no less than 0.6%. When compared to other quotes using a more realistic degradation value, the system on this proposal would appear to have a greater output even if all the materials and components were the same. This system production value then impacts other calculations such as utility savings and payback period. Currently in the state of North Carolina, the two incentives available for solar customers are the 30% federal tax credit and the rebate for Duke utility customers. Right now there is no “state tax credit” or any other type of rebate floating around. 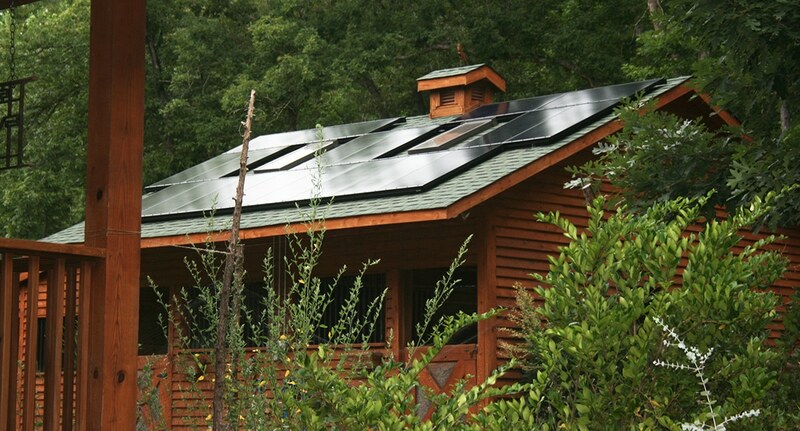 The proposed cost for this system is also on the high end for our local NC solar market. Seeing this headline popup and circulate is unpleasant for sure, but reading what the article goes on to describe is even more painful. As a local solar installer, hearing that there are businesses in the solar industry that have taken advantage of retired, disabled, and veteran citizens in OUR community enrages us. Headlines like these don’t just speak to the reputation of one business, but hurts the reputation of the entire industry as a whole. It’s simple enough for these solar installers to move on to other states when they start getting bad press, but we are left to address their wrongdoings and clean up their mess. Hearing of solar horror stories where homeowners have been misled into purchasing an expensive system that will never perform as advertised is always upsetting. But it’s even more upsetting to know that these situations could have been easily avoided with proper consumer education and with the homeowner getting multiple quotes and doing competitive research. We’ve said it many times before, and we’ll continue to say it again and again until cases like this don’t happen anymore – the credibility of who you work with is just as important as the quality of the work they do. Every day we speak with enthusiastic homeowners who are excited about the possibility of going solar and are passionate about powering their home with clean energy, but unfortunately we sometimes have to deliver disappointing news. For some, going solar just doesn’t make sense because of the policies their local utility has in place for renewable energy. 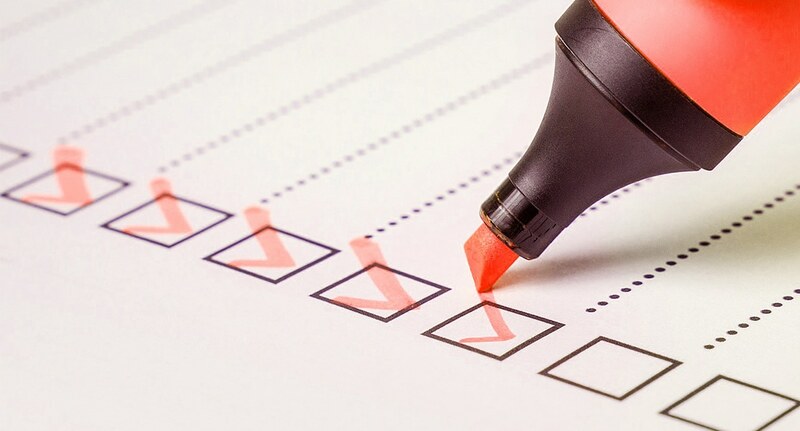 There are close to 100 utilities in North Carolina, each with its own standards for interconnecting solar with their grid and for reimbursing customers for their solar energy production. The most solar friendly utilities offer net metering–where the solar energy is credited at the retail electricity rate so the utility pays you the same amount for your energy as you pay them for theirs. But many utilities in the state only offer buy-all sell-all interconnection options where the financial incentive often just isn’t there to justify the price of solar. In these cases, homeowners are paid a much lower wholesale rate for the energy they generate, but are still charged the full retail rate for energy they consume. The wholesale rate for energy is generally 40% to 70% LESS VALUABLE than the retail rate. 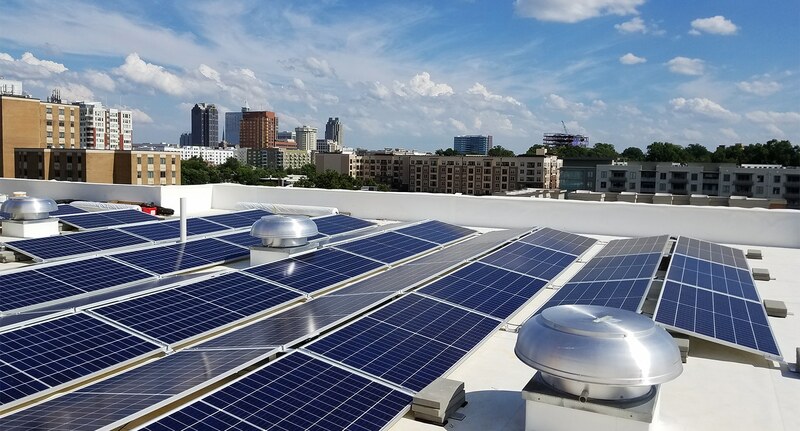 For instance, homeowners served by the City of Rocky Mount’s municipal utility are charged 9.77 cents per kWh for energy they consume but are only paid 3.24 cents per kWh for the solar energy they produce! That means that solar energy is credited at only 33% of the value of the utility’s energy even though from a power perspective its 100% equal and also comes from a clean, renewable energy source! What’s even more discouraging is the fact that these homeowners never get to directly use the power they make unless they are off-grid or have a battery storage system. It breaks our heart to have to deliver such sad news, and we look forward to the day we won’t have to. Want to help change your local utilities solar policy? If you are served by a municipal utility reach out to your local city government and tell them that it’s not fair that they value clean energy at 33% of the price of dirty energy. If you are served by an electric membership cooperative, then you are technically an owner of your utility–reach out to your Board of Directors and tell them you are ready for them to join the 21st century. 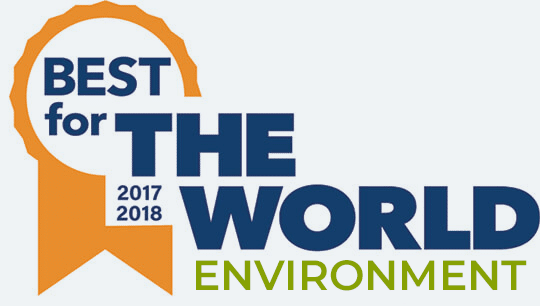 Finally, get involved with and support the North Carolina Sustainable Energy Association, which is the main renewable energy advocacy group in our state. Have a question on a solar proposal you’ve gotten recently, or just about going solar in general? Don’t hesitate to reach out and let us know how we can help!